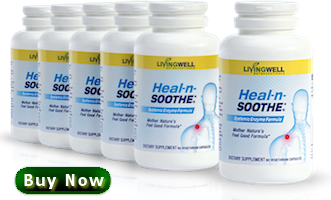 An All-Natural, 100% Safe, Pain-Relieving Supplement Which HEALS Your Body As It Soothes Away Your Pain! It’s called "Heal-n-Soothe®" and it not only gives you the healing power of proteolytic enzymes in a convenient capsule but it also goes where no other proteolytic supplement has or will. Proteolytic enzymes are completely safe - In 1993 scientists discovered that proteolytic enzymes have no known lethal dose. Compare that to NSAIDS which put hundreds of thousands of people a year in the hospital and, in some cases can cause death! Another study done by the Institute of Cancer Research in Vienna found that "a combination of proteolytic enzymes and herbs were effective in treating rheumatoid arthritis and reducing TGF-b which is known to be present in the blood when there is cancer." Try it risk free! 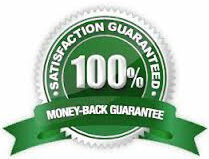 100% money back guaranteed! Turmeric has the unique ability of using its antioxidant powers to seek out and destroy free radicals in the body which contribute to pain and swelling. A recent study done at the prestigious Sloan-Kettering Cancer Research Center in New York. In this study they found that Turmeric was more safe and precise than aspirin in stopping inflammation by shutting down the COX2 enzyme responsible for pain. And Turmeric caused none of aspirin's typical gastrointestinal irritation! Numerous studies have proven it's effectiveness in reducing pain and inflammation. In fact, one study found that Devil's Claw was as effective in treating arthritis pain as common drug, phenylbutazone... which is so strong it's even used to treat pain in horses! There have also been several studies on humans which show that Devil's Claw is as effective as COX-2 inhibitors... without the deadly side effects! A series of studies completed in Germany found that the main ingredient in Devil's Claw was indistinguishable from Vioxx in the treatment of chronic low back pain! The Mojave Yucca root has more benefits than you could shake a stick at! These improvements in your health include migraine relief... decreased blood pressure, cholesterol and triglycerides...better digestion... reduction of muscle spasms... improved blood circulation... treating various skin conditions... healing wounds... and it even promotes shiny and healthy hair. Found naturally in a variety of plants and fruits, this flavanoid has been shown to have a strong anti-inflammatory effect due to it's powerful anti-oxidant activity. Reducing your inflammation leads to changes throughout your entire body. Changes such as ... a reduction of pain... increased circulation and dozens of other health benefits which ramp up your energy! This special natural compound which is extracted from pineapple contains several proteolytic enzymes that have been shown to short-circuit multiple pain pathways in the body. It has been studied extensively since it's discovery in 1957 and hundredsof studies have shown it to reduce inflammation, reduce and prevent swelling and remove waste and toxins from the blood. For example, in one study, 77 patients taking Bromelain experienced significant reduction in pain and swelling. Papain is unique in that it's been shown to actually attack tumor cells and boost the immune system! It also contains a wide range of proteolytic enzymes and works by breaking down proteins. In studies it has been shown to be effective in the treatment of numerous conditions such as diabetes, herpes, cancer and digestion issues like bloating and chronic indigestion. It's an enzyme very few people have enough of, yet if they did, would reduce the frequency of a lot of common diseases and disorders! One of the most widely used herbs in Indian medicine, it has been used for centuries by traditional Indian healers to reduce pain and inflammation. Hundreds of studies have been done proving it's effectiveness and in addition to being a powerful and safe, natural anti-inflammatory, Boswellia has also been shown to support healthy blood circulation. In a randomized, double-blind, placebo controlled study, 30 patients received 333mg, 3x a day ofBoswelia. The group who received the Boswelia had a significant reduction in pain and swelling and experienced an increase in joint mobility and flexibility as compared to the placebo group. Used for over 2,500 years in Asia, Ginger has been used to treat nausea and to reduce pain and inflammation. 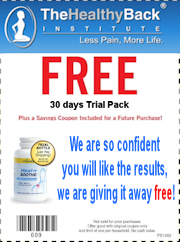 It works by decreasing the amount of prostaglandins, which are what cause you to feel pain. In other words, it does what NSAID's and prescription pain meds do, but in the way nature intended it to do so... instead of forcing it and causing side effects! Citrus bioflavanoids aid in the absorption of vitamins and act as important anti-oxidants. They also inhibit collagenase and elastase, the enzymes responsible for the breakdown of connective tissue. That way your joints and ligaments stay as healthy as when you were a teenager! In addition to protecting connective tissues, they also protect against free radical damage. Available in 1 bottle, 3 bottles, or 6 bottles with over $100 in savings!